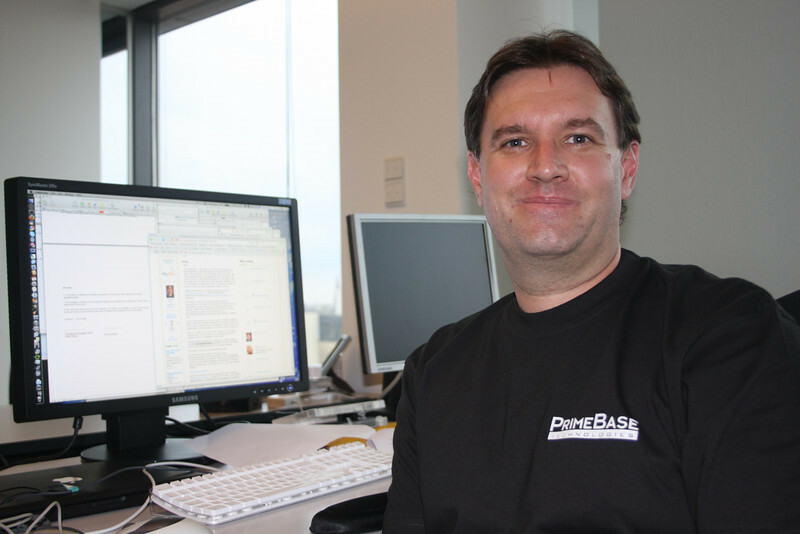 Here I am at my desk sporting the PrimeBase supporters t-shirt that will be available at the exhibitors booth at the 2008 MySQL Conference. The front is rather uneventful with the official logo, but the back will be worth the experience. So everybody interested in supporting PBXT as the transactional storage engine for MySQL developed by the community and for the community, please come and see us and mention the secret password. We have been placed way back in the right hand side of the exhibitors hall at booth 518, in front of the Open Source and OEM providers. Here are some steps involved. Using the current MySQL defacto engine InnoDB. Of course, Falcon, PBXT and others will enable alternative engines to be used. NOTE: This may not work for all tables, for example those with FULLTEXT indexes will fail. For the introduction of Referential Integrity we need to ensure the following. Each Foreign Key column should have an index. Prior to 4.1 I think this was a requirement, however it's a good general practice regardless for SQL performance. The datatype must match between Primary Key and Foreign Keys. The most obvious oversight is normally UNSIGNED, however you also for example have INT and INT, and not INT and BIGINT as datatypes. Optional Foreign Keys must contain NULL values and not the normal practice of having a default of 0. A Sample Foreign Key Syntax. A confirmation of table definitions. A second pair of eyes (thanks Jon), showed that I actually spelt a table name wrong. Did you spot it. Of course it would have been nice if the error message actually told me this. This rather bland message Can’t create table could actually mean. I’m sure if I tried to break it I’d find more examples, but just a trap for unsuspecting people. Now migrating an existing schema to using Referential Integrity provides some initial benefits (row level locking, misplaced key updates/deletes) but it does not provide true integrity unless your application has been written to support transactions. Chances are it hasn’t, but this is at least the first step.